Set 2x TI TMS48C121DZ-80 333-0133-80 ? 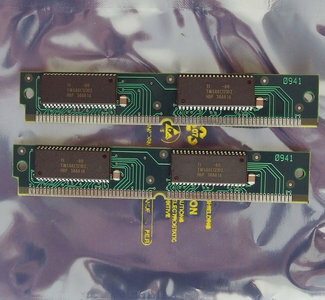 KB 80 ns 68-pin SIMM VRAM memory modules. Come from Apple Quadra 610 or 650 (not sure anymore). This item was last tested in August 2012. - Computer could be powered on and booted fine with these installed memory modules.